The Mikoyan-Gurevich MiG-21 was designed in the Soviet Union as a high speed supersonic fighter in the nineteen fifties. 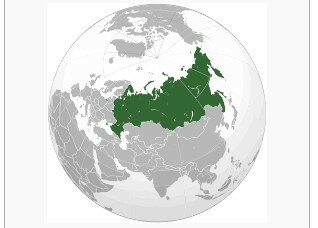 It proved to be a very good design, with over 10,000 built in dozens of versions and exported to many Soviet influenced countries during the Cold War all over the World. Some MiG-21's were also license built like in China and India by HAL. Development started with the Ye-1 in 1954 and later Ye-2 and Ye-4 test aircraft. At the beginning not a lot of information was available to the West on de details of this aircraft. It got a single straight air intake in the nose with a moving bullet for containing the shockwaves. What later became the MiG-21, designed as a fighter, the aircraft got a high speed capability with a single powerfull Tumanskiy engine and with a delta wing planform (but still with tailplanes). It could fly over 2200 km/hr (about 1500 mph) but obviously at very high fuel consumption. So the MiG-21 had a short range and was often seen with fueltanks below the wing and central fuselage. The MiG-21F was the first aircraft version put into production starting mid 1958. It was fitted with two NR-23 cannons at the lower forward fuselage that were integrated in lower air brakes. The pilot had the SK-1 ejection seat and used a basic radar. The pitot tube is below the intake with a forward hinging canopy. It could not fire any air to air misisles but could carry fueltanks and 2 bombs. The MiG-21F had the initial small 66 cm diameter main wheels. Later on also the port lower NR-30 canon was removed. Probably about 80 were manufactured. 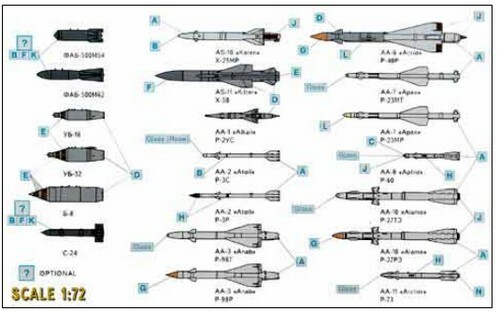 The MiG-21 F13 was based on the F but now could fire K-13/R-3S (NATO called "ATOLL") missiles, with the early versions fitted on APU-28 rails and later APU-13 rails. Now one canon was fitted at the right, on the left a fairing was retained. This version could also fire rockets from pods. The forward hinged canopy also had to the rear a transparant extension to the thin spine. The large pitot tube is still below the intake. 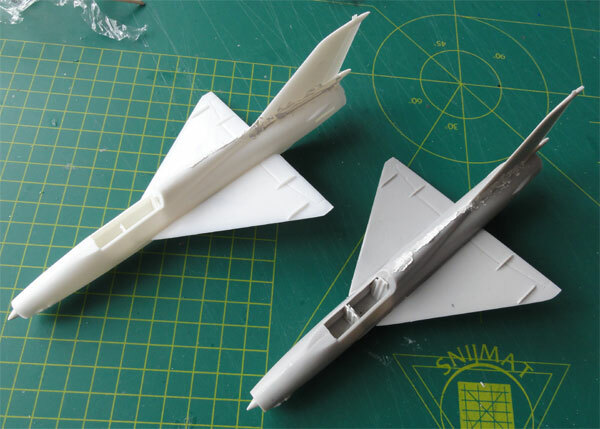 The ventral fin became a bit longer than on the -F. Wing was the same as of the -F.
In 1961 the MiG-21PF appeared as "all-weather" interceptor and it was also exported to Warsaw Pact countries. The fuselage was changed and also the larger intake with the RP-21 radar and no cannon?. The canopy still hinged forward but the rear transparent extension was discarded with a fatter spine immediately aft of the single canopy faired into the thinner spine to the tailfin. The pitot moved to the top of the center intake and the NR-30 starboard gun removed. The later standard larger main wheels of 80 cm diameter were introduced with thicker fairings above the wing root. Versions exported to the Third World had less sophisticated systems and often had a wider-chord vertical fin and with brake chute fairing at its base. (HAL built it also under license in India). The MiG-21PFS looked similar to the MiG-21PF but with the wing had blown flaps and also the broader fin. Later versions of the PFS got also a sidewards opening canopy with separate front windscreen. The MiG-21PFM came in 1964 and was quite different than the previous versions. It got a much broader tail fin and no cannon. The canopy was split with a windscreen and a sidewards hinged aft canopy. Later versions again introduced a canon, now a GSh-23 cannon in an underbelly pod and the Kh-66 air-to-surface missile could be fired. 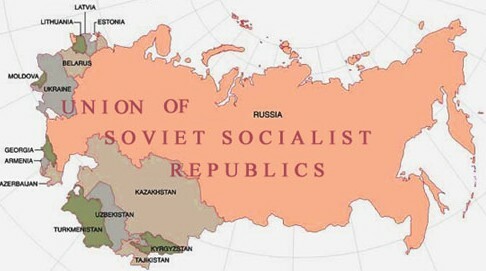 This version was also mainly used by the Warsaw Pact (PFMA and PFMN by Poland, RFMN Romania and SPS by the DDR). (Probably the zero-zero KM-1 ejection seat was also introduced). The MiG-21R from 1965 was the next generation and could carry a reconnaisance pod below the fuselage. The spine was thick and made larger for extra fuel. 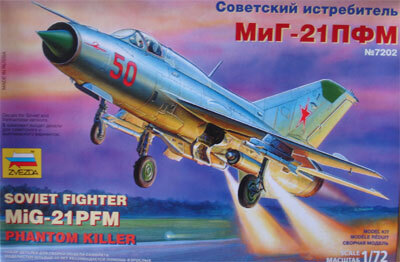 Exports were the RF for Egypt but also another MiG-21RF was the upgrade with R13-300 engines as in the MiG-21MF. The pitot (without vanes) is on top of the intake to the right. Often on the wing tip antenna fairings are installed. The MiG-21S of 1964 was only used by the Soviet Union and based on the R. It got the RP-22 radar and the airframe was different from that of the MiG-21PFM by using the same saddle tank as in the MiG-21R. The MiG-21S could carry the GP-9 cannon pod and had four underwing hardpoints and the 2 outboard ones could also fuel drop tanks. It could also fire the R-3R missile. Upgrades and improvements were continuously made. The MiG-21M from 1968 was the export variant of the MiG-21S with less sophisticated systems but with a built-in twin barrel 23mm GSh-23L cannon. (also HAL license built). CzechoSlowakia had the MiG-21MA re-engined with the Tumanskiy R13-300 engine. The MiG-21SM was an upgrade of the MiG-21S using the R13-300 engine and with a built-in GSh-23L cannon, as well as a considerably updated avionics package. 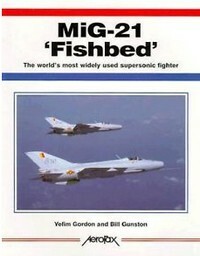 The MiG-21MF appeared in 1970 and NATO called it "Fishbed-J". 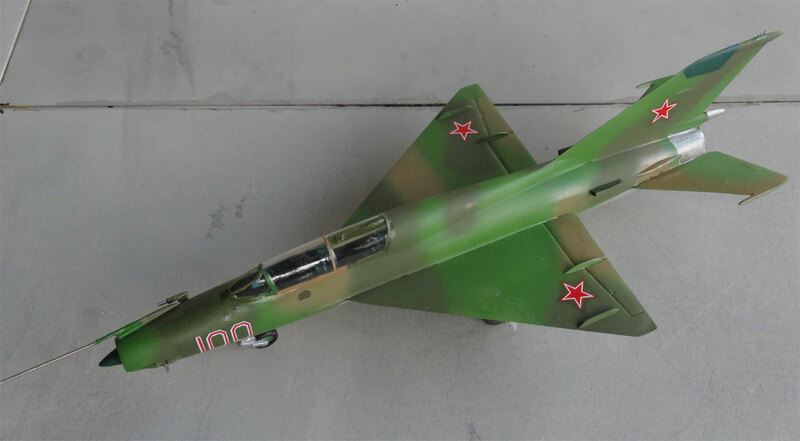 It was based on the M and the export version of the MiG-21SM, with RP-22 radar and R13-300 turbojet. The aft canopy got a "rear view" mirror on top. The spine is thick and looks straight aft of the cockpit section and runs a bit into the vertical tail. The choice of weapons loads was increased with the addition of the R-60 (NATO: AA-8 "Aphid") and later the R-60M IR-seeking AAM. This version was also licence-built in India by HAL as the Type 88. The MiG-21SMT of 1971 (NATO "Fishbed-K") was based on the MiG-21SM with increased fuel capacity in its much larger and bulky spine with runs all the way the vertical tail base. The MiG-21bis from 1972 (NATO "Fishbed-L/N") had the Tumanskiy R25-300 turbojet engine and had a great number of other advances over previous types. It could fire the R-60 missiles and had a new radar. The spine is a bit longer than on the MF and runs half way the vertical fin (but significantly thinner and smaller as to the SMT) and the intake ring is slightly different than on the MF. The MiG-21ST retained the older style smaller spine/saddle tank of the MiG-21bis and was thus externally indistinguishable from the MiG-21bis. In several countries upgrades were done. 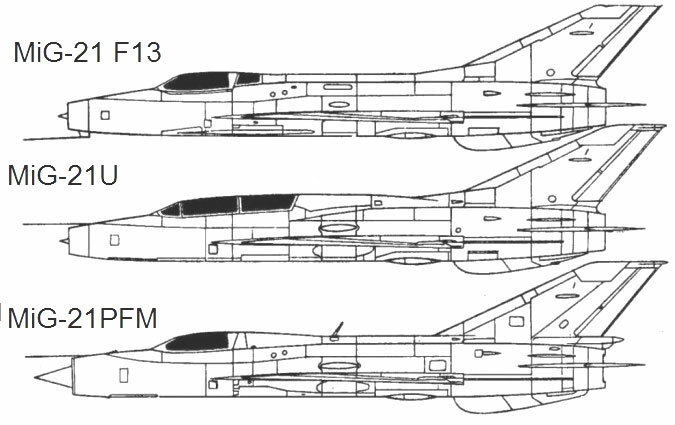 Bulgaria updated the MiG-21MFR in 1995 with also recce pods. Much later after the collapse of the Berlin Wall the MiG-21MFN was the Czech Air Force MiG-21MF upgraded with NATO standard avionics. The MiG-21bis-D of Croatia was modernized for NATO. Several MiG-21 trainer versions with two seats (student front and instructor rear) were developed. The MiG-21U that appeared in 1961 was the two-seat training version based on the MiG-21F-13. There is a windscreen and two sidewards separate hinging canopies. It has two airbrakes: one below aft of the nose gear and one aft of the main gear bays. 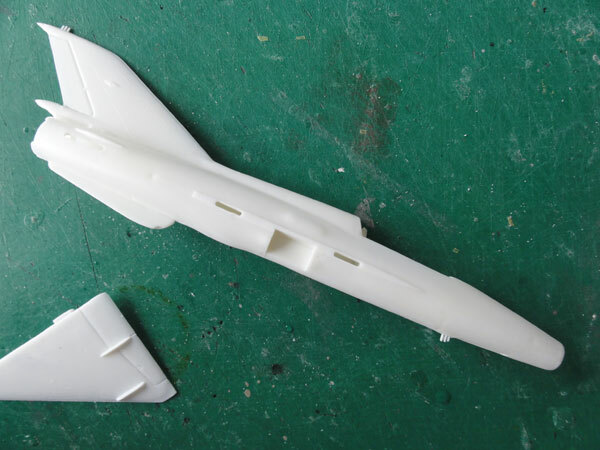 The small fin was retained and later production "U" aircraft got the broader fin as of the PFM and the larger 80 mm main wheels. 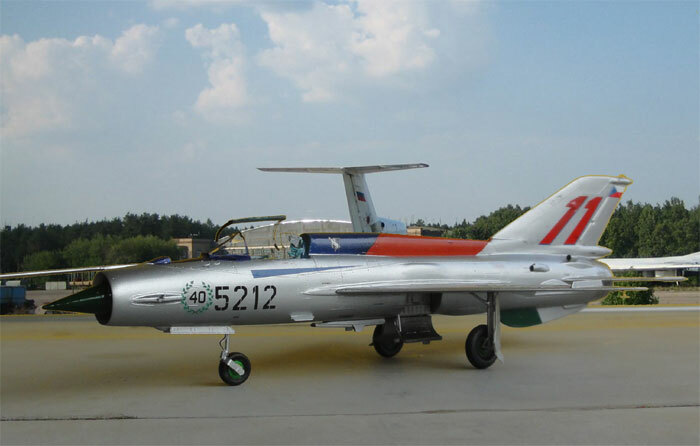 The MiG-21UM from 1968 referred to by NATO as "Mongol-B" was the two-seat training version of the MiG-21MF but it looks that it retained the "small F intake" but the large tailfin like the MF. Seats are KM-1U for the student and KM-11 for the instructor. The instructor has a foldable periscope at the aft canopy section. Four underwing pylons are possible. China manufactured the MiG-21 as Chengdu J-7 over the years and at the beginning were reversed engineered. 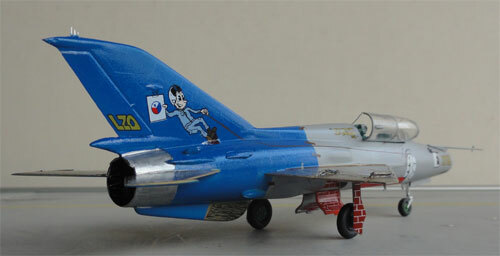 The initial version of the J-7 was a copy of the MiG-21F-13 and known also as the F-7A with one canon. 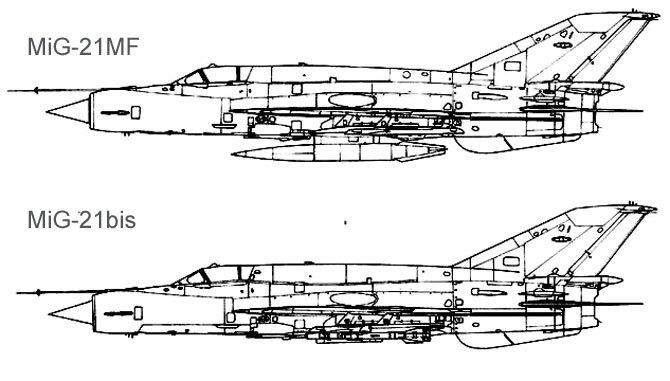 The next J-7i version retained also the left NR-30 canon (so had 2 x 30mm) and a variable intake bullet. A brake parachute housing was added to the rudder base. On the J-7ii (F-7B) the canopy hinges to the rear. Later J-7ii versions had better avionics. 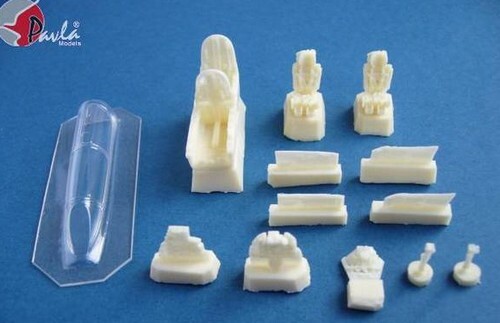 In 1/72 scale many many kits have appeared over the years. 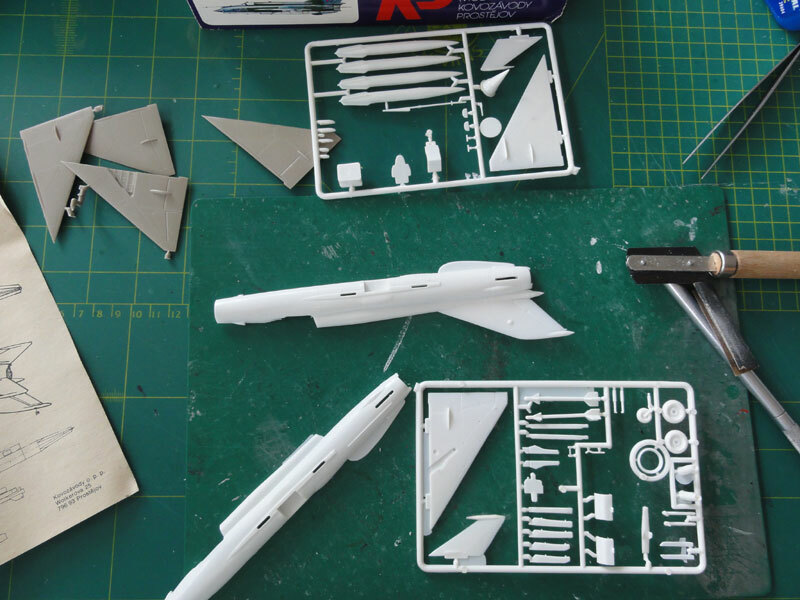 Starting with the very old FROG (later Hasegawa) kits. 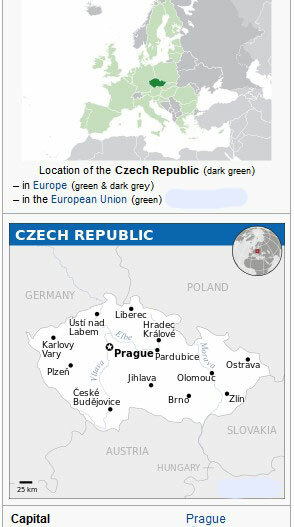 A kit with a good outline was the KP kit from CzechoSlovakia. This kit was crude but there was not a lot to choose from. 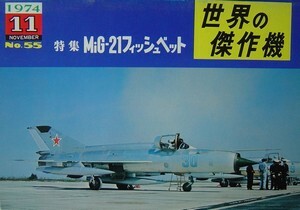 Later the FUJIMI series of MiG-21 in several boxes came which however mixed up several versions so these kits are not totally accurate. The KP was also copied and changed somewhat by various brands the last decade. Some got recessed panellines but still had crude parts. Examples are AEROPLAST, MASTERCRAFT, EASTERN EXPRESS, AGA, AKKURA and CONDOR. Bilek also had a kit (but unknown to me). The MiG-21UM trainer was also issued and copied like AEROTEAM and others. KM-1 ejection seat: AKAN 73008 blue or AKAN 73004 green with dark grey or even black head-rest, green/grey parapack; red ejection handles. NOTE: in many model kits Soviet weapons are very inaccurate in shape. 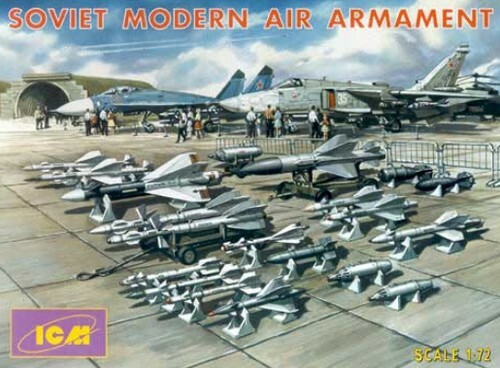 I recommend using the "Soviet Modern Air Armament" ICM set #72101 to get far better stores. ICM released later various other sets as well. OK, now on to the kits! 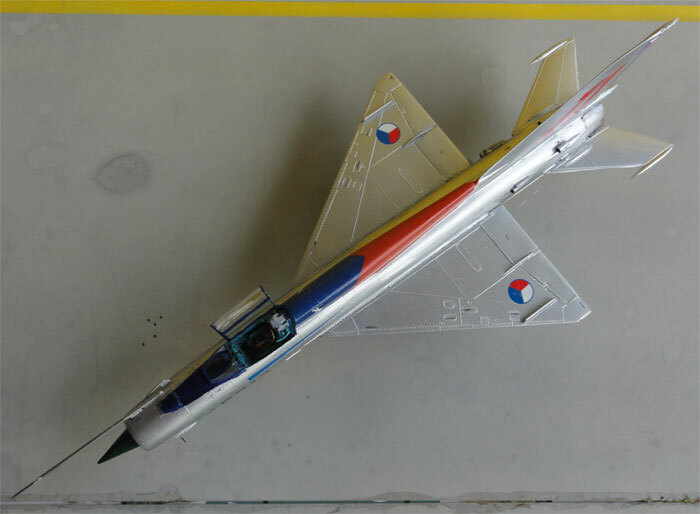 The Kovozavody Prostejov (KP) kit #19 is for a MiG-21 MF. (Note that this is the original old KP kit (later the KP brand name was "purchased" by other manufacturers like KOPRO, but often their issued kits are NOT the original KP!). The parts in this old KP kit are crude but the outline and dimensions look OK. 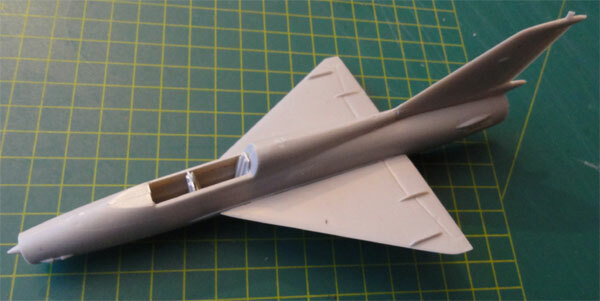 There are about 50 parts with 2 fueltanks, a couple of crude Atoll missiles and very crude rocket pods in the kit. There is a cockpit "tub" but the seat is very basic. 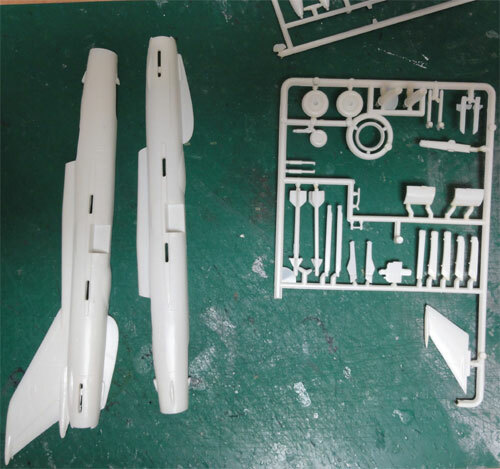 The clear parts are not often without scratches and the canopy looks very inaccurate. 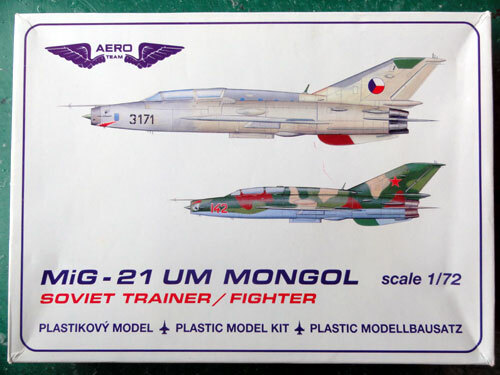 The kit I had has decals for a couple of Czech aircraft and a Hongary MiG-21. Decals are vey crude however and almost unusable. There is also a lot of flash (thin plastic) that needs removal. The kit has raised panellines. It is a matter of taste if you want to keep them on this model. I removed most of them with sanding them during assembly. It was decided to make this model with not a very big effort. Putty and sanding is required. The main gear bay wheel wells are not deep (I painted a gloss black "ceiling"). The various intake scoops at the rear fuselage are there but very crude. There is also not an actual exhaust nor an intake tunnel. I simply painted these areas black inside. The model got a base grey coat to reveal any gaps. The KP kit has a wrong shaped canopy, it is too bulky and curved. The bad kit canopy (and windscreen) was replaced with a vacuform one from the PAVLA canopy set #7220. This set has numerous canopies that are good replacements for the many crude canopies found on the old kits. Final details were added after decalling. 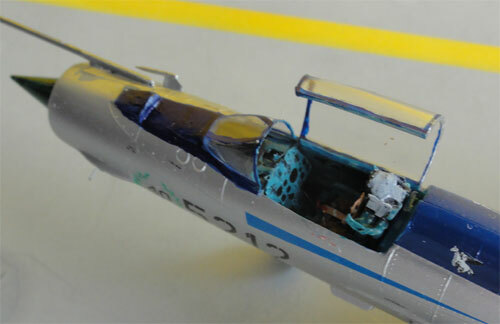 The wheel hubs were painted bright green, the aft fuselage "burned metal" and the cockpit interior "Russian interior green" (see general colours...). The rest of the undercarriage was set in place. The large main gear doors (parts #18 and #20) were reduced 3 mm in length and set at an angle. This kit was finished in a CzechoSlovakia scheme and the real aircraft were received in 1971 to 1975 as a still "united" Warsaw Pact country. Note also the smaller stencilling seen on the airframe. This AGA kit from Poland looks as based on a "copied" the Kovozavody Prostejov (KP) MiG-21 but made some parts for the MiG-21UM trainer. Some parts are "re arranged" in their sprues. So the same basic comments apply to the assembly of this AGA kit. 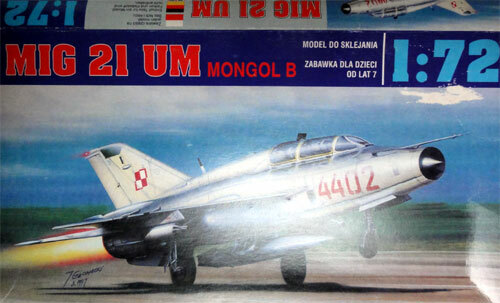 On the instructions not even the MiG-21 version is indicated but a small drawing refers to the MiG-21 UM . Assembly is basic and was done straight forward. I added pieces of plastic card inside the cockpit. The model was sanded smooth with no panellines left. For the UM I used a PAVLA resin set 7229 for the details. It has seats and a new thin vacuform canopy. Light grey (Gunze Sangyo acrylic H308), Bright blue (Gunze Sangyo H25 acrylic), wood (Revell 88 Aqua). The canopy was also replaced with a vacuform PAVLA set 7229 UM one. The KOPRO decals went on pretty good but are VERY thin so be carefull when applying them. Smaller parts were added like the gears , antennas and pitots. The model finally got a gloss varnish coat using a mix of Johnson Future / Pledge thinned with 30% alkohol. 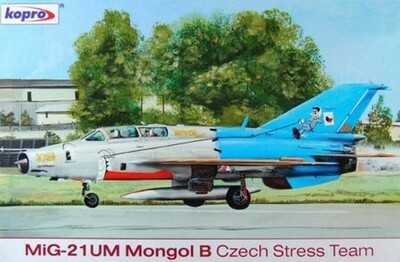 Czech AF MiG-21UM "Stress team"
This 1/72 kit is for a two seater MiG-21 UM and is a "copy" of the AGA kit . Here a comparison (AGA kit upper left, AEROTEAM lower right). 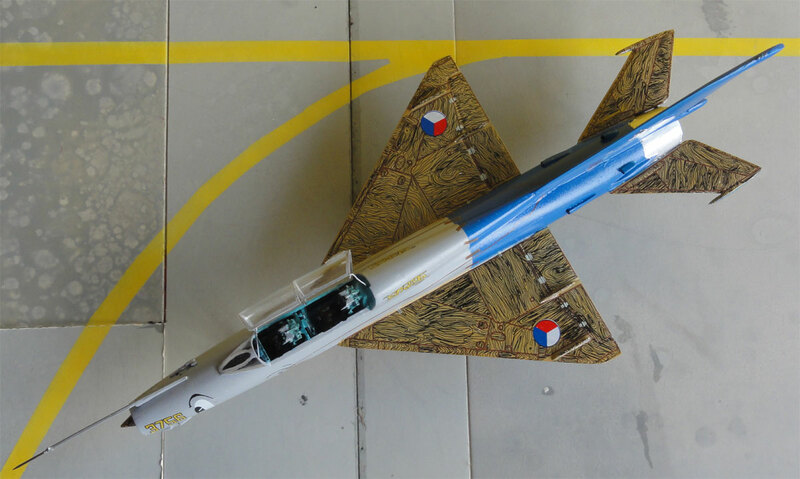 The AERO TEAM MiG-21 UM kit was simply assembled. 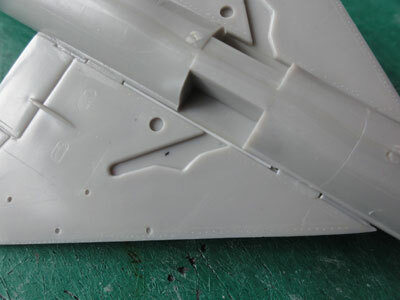 Some strip is needed at the wing-fuselage joint to close gaps along with putty. Note the undeep main gear wells. I painted their "ceiling" gloss black. The two seater kit canopy was replaced with a thin vacuform one from the PAVLA set 7220. 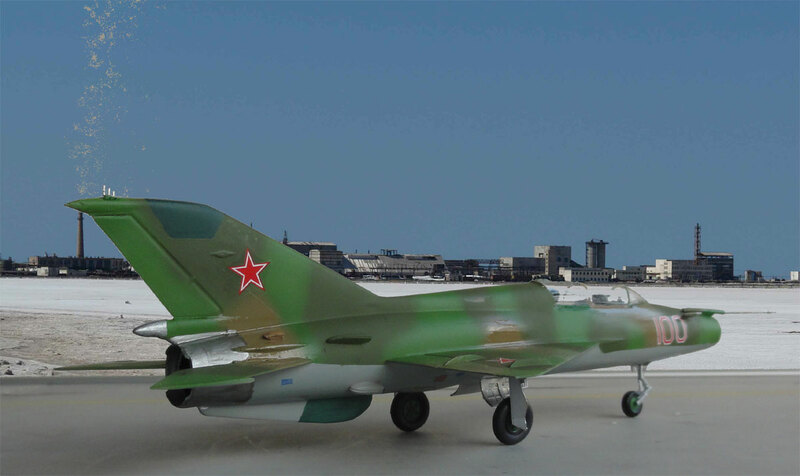 The scheme was picked as in the kit for a Soviet AF MiG-21UM with camouflage scheme. and lower surfaces light grey Gunze Sangyo 324. 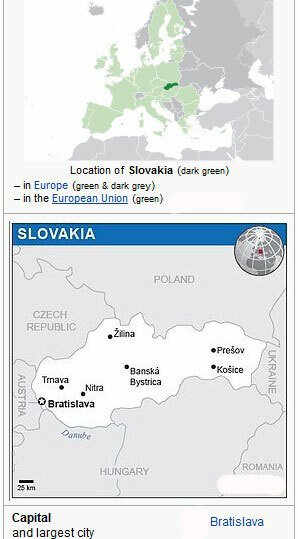 I am not sure these colours are very accurate. Basic decals are the Soviet VVS stars as per kit. 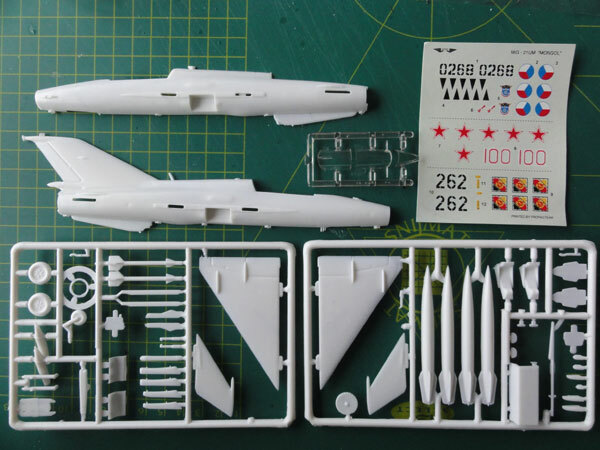 I used also some smaller stencils from the Revell MiG-21 F13 kit (also on the stack). Finally details were set in place: the landing gears, pitot, and so on. The model finally got a couple of semi-dull varnish coat using a mix of Johnson Future / Pledge thinned with 30% ketanus alkohol and with a few drops mixed in of Tamiya matting agent "Flat Base" X21 acrylic.